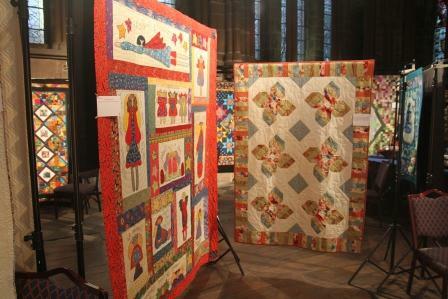 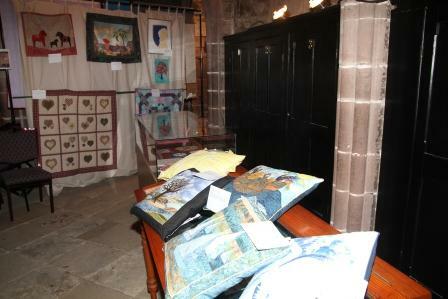 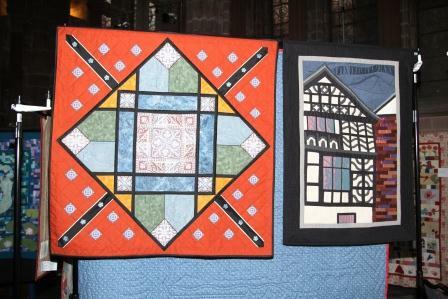 Work from past and present was displayed in the Chapter House in the last week of February 2013. 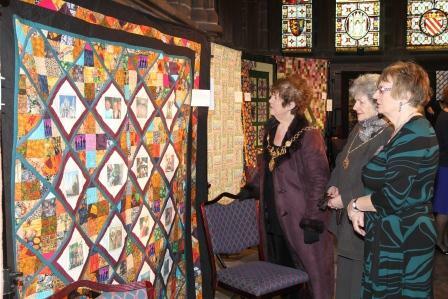 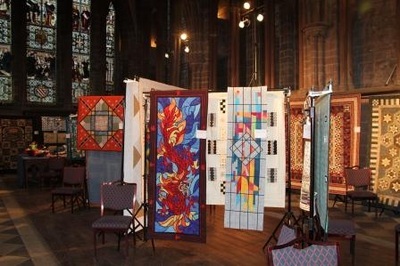 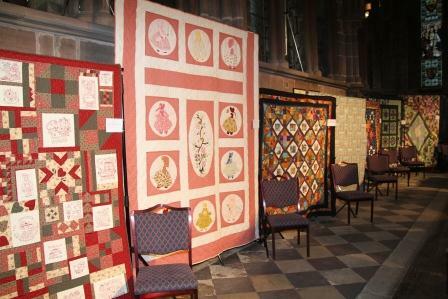 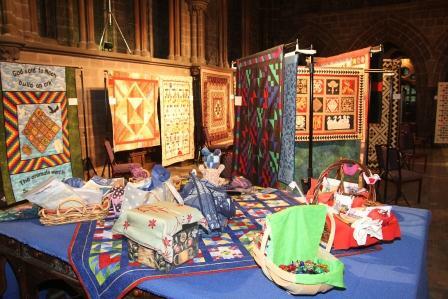 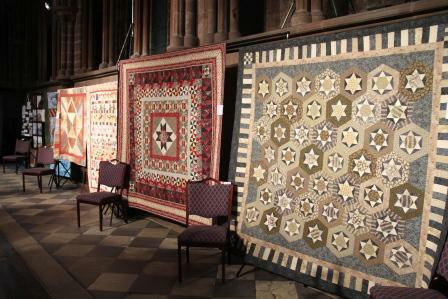 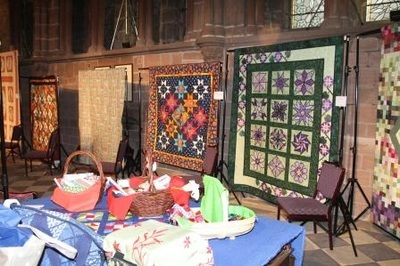 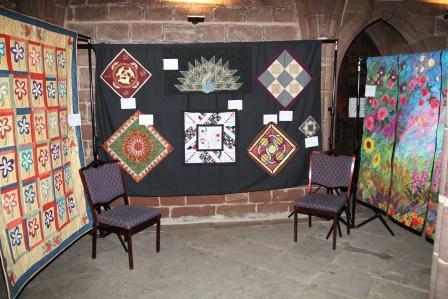 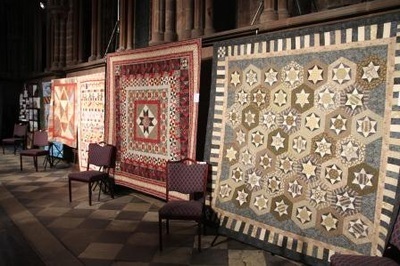 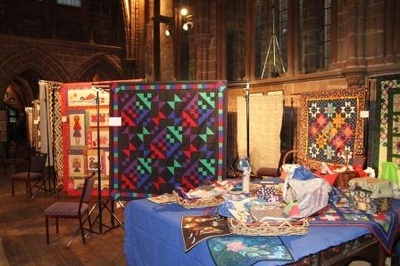 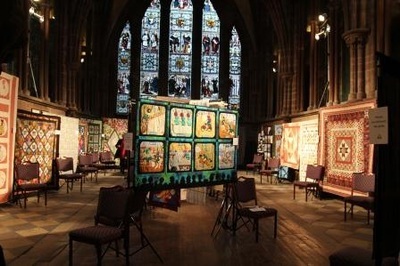 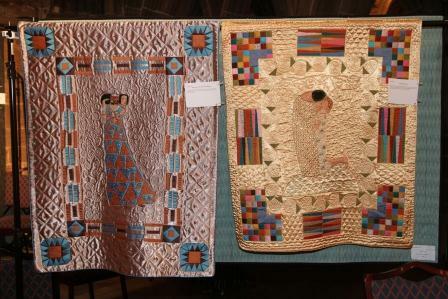 It was a true celebration of Chester Patchworkers and Quilters, Chester history and heritage including the Chester Mystery Plays with work from both our experienced and newer members. 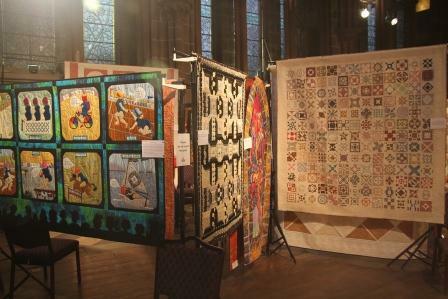 The exhibition was a resounding success and we welcomed over 1400 visitors from across the country during the 5 days. 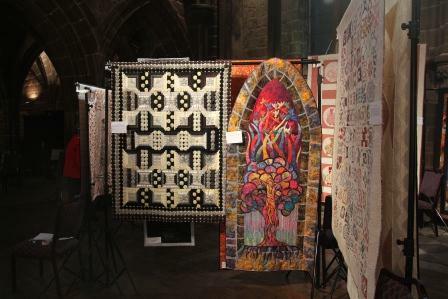 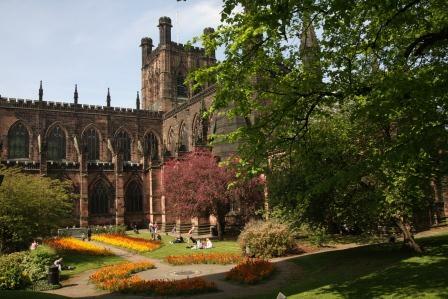 We received many messages of congratulations on the variety and standard of the work displayed and we would like to thank Chester Cathedral for their kind hospitality. 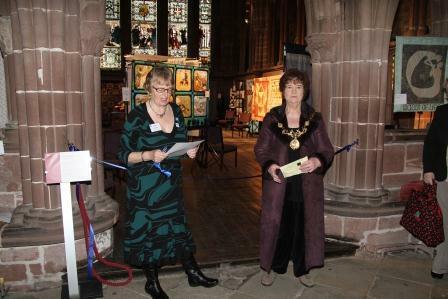 We were delighted that the Lord Mayor of Chester, Councillor Pamela Booher, agreed to undertake the official opening of our exhibition. 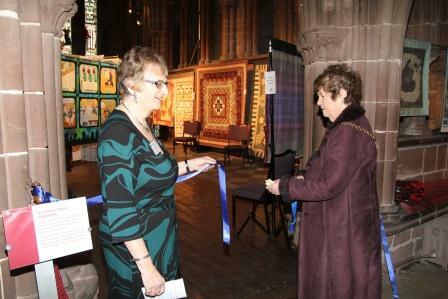 The ribbon was cut to the enthusiastic applause of the invited guests. 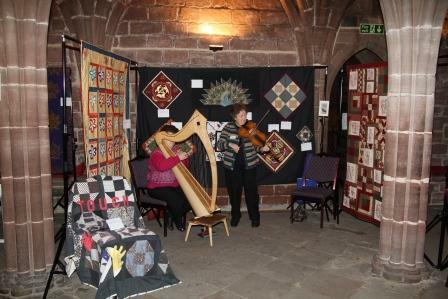 As everyone looked around the lovely display they were serenaded by viola and harp music provided by our members Sue Jones and Catriona Thompson. 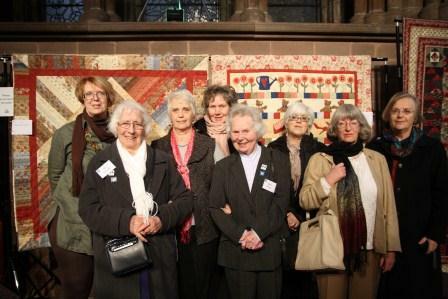 A number of our original members came along to the opening. 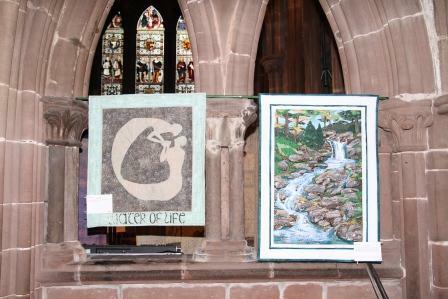 How can it be 30 years? 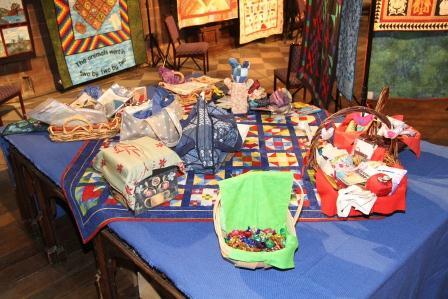 A number of visitors who were not familiar with patchwork and quilting asked questions about how quilts are designed and constructed. 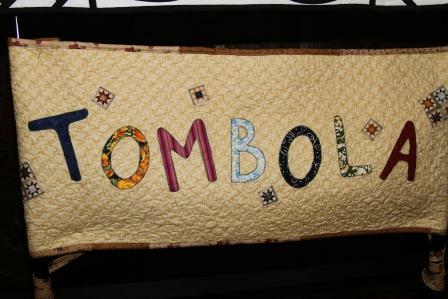 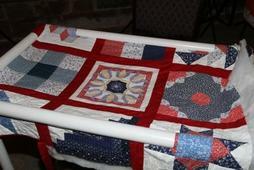 We had a partially completed quilt on a floor frame so that we could show how a quilt is put together and stitched. 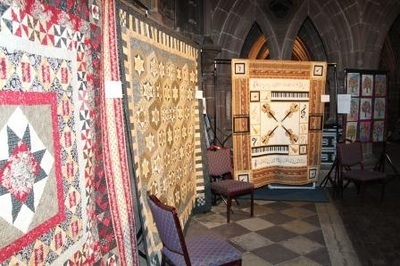 David Cummings kindly came along to take a variety of photos of the exhibition for us and the photos on this page are a small selection from that portfolio.